If you have been on the hunt for the right place to lease (Chrysler) in NY, the team at Lease A Car NY is here to provide you with the help you need. We offer you one of the largest selections of Chrysler vehicles and we are confident that you will find a vehicle you like. When it comes down to it, a lease does not have to be difficult to obtain and you do not have to spend a bunch of money either. You also do not have to be trapped in some long-term commitment either. Lease A Car NY is ready to help you keep money in your pocket. We keep our prices as low as possible and you will pay less when you work with our team. Chrysler car leasing in NY is done as quickly as possible here at Lease A Car NY. We will work tirelessly to help you secure the right financing. We will also help you choose the right vehicle for your needs based on your preferences and desired features. If you would like to learn more about Chrysler leasing deals in NY, call us now at 347-269-2315. Whether you have a specific model in mind or you just want a Chrysler vehicle, we have many different options available to you. We allow you to even choose the perfect color vehicle and the features you want to be inside of the vehicle. We have new Chrysler deals in NY every week and would be happy to let you know how much money you can save with us today. We can help you secure a new vehicle and you will be able to drive it the SAME day. 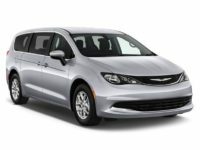 Lease A Car NY is prepared to help you secure financing for a Chrysler lease in NY. We work with all of the top banks, lender, and institutions to make sure you receive a low interest rate and that your terms are on point with what you desire. We know how important it is to have a low and affordable monthly payment, so we make it happen. Once our leasing specialists have terms ready for you, they will go over them with you and help negotiate on your behalf. For example, if you were offered a four-year term, but you want a three-year term, we will do what we can to make it happen for you. 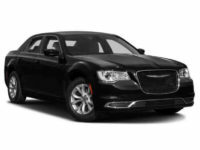 If you can see yourself in a stylish Chrysler 300, call our office now at 347-269-2315 to hear more about our new Chrysler leasing deals in NY. Our team is committed to walking you through the process and making sure you understand what you will receive. 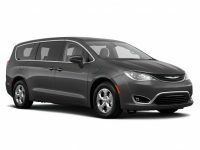 Call Lease A Car NY now to discuss your options and to secure a Chrysler lease in NY.